Being that I’m from the Comox Valley, I can’t help but admit a bit of bias when it comes to Vancouver Island’s most picturesque places. There are few communities on the island where you can spend the morning taking in panoramic views from the top of a mountain, sail on the deep blue sea when the sun is high and complete your day with a tranquil massage on the beach. Two nights in a Romance Suite at the Kingfisher Resort & Spa, two passes to the Pacific Mist Hydropath and a $100 food credit. Two nights in a Jacuzzi Villa at Crown Isle Resort, breakfast for two each morning, dinner for two and two rounds of golf. Two nights at the Old House Village Hotel & Spa, a culinary tour, two $50 spa credits and a round-trip flight with Harbour Air for two. Two nights at the Best Western – Westerly Hotel with breakfast and dinner plus a guided mountain bike tour at Mt. Washington Alpine Resort. Two nights at the Holiday Inn Express (they have a waterslide! ), passes for the mile-high Eagle chairlift ride and lunch on the mountain. With the exception of the third prize package, all packages include round-trip passes on BC Ferries. 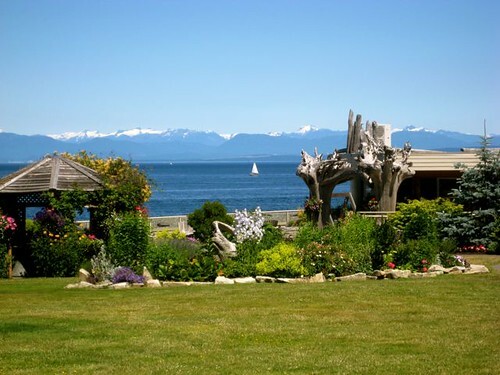 To enter to win one of the five fabulous packages, visit Tourism Comox Valley’s website and fill out the online ballot. 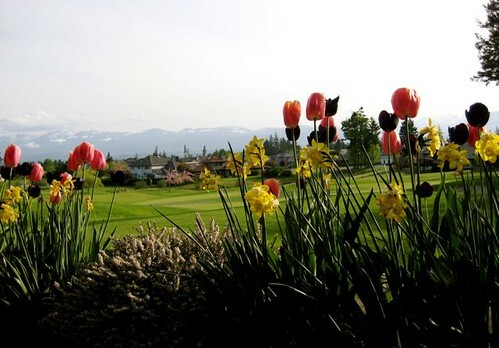 Comox Valley Tourism can also be found on Twitter. oooooh, so excited about this!! Thanks for the heads-up! I filled out my entry, now just keeping my fingers crossed! This is such a divinely beautiful place. Gorgeous setting.